When it comes to medicinal products, there is a certain expectation for what you are going to get when it comes to appearance. Everyone knows what a doctor’s office looks like, same too with visiting a doctor’s website or the website of a particular drug. However, when it comes to CBD, every single retailer seems to have a different aesthetic in mind. While you might think that how a website looks isn’t very important, this is how a company presents itself and its products, forming a big part of your first impression. How they choose to show themselves to prospective customers is almost as vital as the integrity of their products themselves. 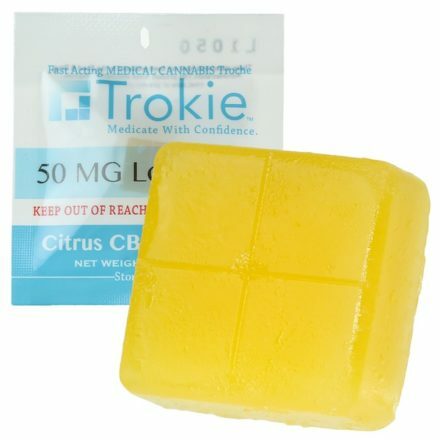 Trokie is one such CBD retailer that not only seems dedicated to the integrity of their products, mainly thanks to their unique methods of imbibing CBD, but also in presenting themselves as a completely medicinal retailer. Let’s take a look at Trokie and examine how they are trying to change the CBD market for the better. Trokie was initially founded by Dr. Crowley, a pharmaceutical executive who has personally patented a great many of their individual products. From the very moment you first go on Trokie’s website, you are immediately hit with the impression that this is the website of a medical professional. There is a simple, clean look to everything, with a huge focus on blue text and white backgrounds that just reminds you of being in a doctor’s office. Though many people will scoff at the importance of appearances, they might not have noticed the sheer quantity of CBD retailers out there with ganja leaves and 420 stickers all over their website. The marijuana community is obviously interested in making sure that the reputation of CBD transcends marijuana culture and instead becomes a part of regular medicine. A big part of that is keeping up with appearances – Trokie understands that greatly. However, despite the clean look of Trokie, the main focus of their brand is not in CBD oil or topical CBD treatments, such as is the case with other brands – instead, Trokie has focused all their efforts on something completely different: CBD lozenges. Everyone is familiar with the science behind CBD oil; placing it under your tongue and allowing the CBD to be taken by your bloodstream to be assimilated into your body. This sensation of oiliness is unpleasant for some but remains the single most popular method of imbibing CBD. Trokie offers a way to have the oral application of CBD oil still, but without the use of oil droppers. Their lozenges are similar in style and appearance to the type of medicine you get given for sore throats and they work by allowing the CBD to enter the body via the mucous membranes in the mouth. They claim that the chief benefit of their lozenges is that they take effect incredibly quickly, sometimes as fast as 5 minutes, due to their unique patented method of it entering your body. Of course, the lozenges themselves take around 30 to 40 minutes to actually dissolve, meaning that it can take a bit longer than advertised to take effect. The main problem with Trokie’s lozenges is that they don’t seem to have any scientific backing. They claim that they have created this wonderful process and it would seem to make sense as a possibility, but their “Lab Reports” page is, sadly, “Under Construction”, making it virtually impossible to confirm their findings. Regardless, let’s take a look at their individual products and see if they are still worthwhile, even without independent backing from a third party laboratory. Trokie CBD Lozenges – The Newest Method of Imbibing CBD? Trokie’s flagship product, their CBD Lozenge, is a somewhat revolutionary idea – instead of having to imbibe CBD in pill form or using greasy oils, you can simply take a convenient lozenge, and enjoy the effect of CBD. Interestingly enough, their lozenges aren’t actually just CBD; some of them actually contain THC. Trokie’s lozenges are available as either just CBD, containing ten servings of 10mg CBD per lozenge, or CBD with melatonin added as well, so as to make it easier to fall asleep. Many people use these to help get rid of issues arising from pain and inflammation, while also battling insomnia. They also offer a version that contains both CBD and THC in a ratio of 9 to 1, respectively. Each individual lozenge contains 90mg of CBD and 10mg of THC, making it just not quite enough to get high off, but still enough to enjoy the ‘entourage effect’ of combining both types of cannabinoids for medicinal purposes. Once more, they also offer a version with melatonin. Finally, they offer a version that is just THC, either 100mg of indica or 100mg of sativa, allowing you the choice of different medical treatments in a pure form. The tricky issue is when it comes to price, there isn’t really a way to see the price of the actual lozenges, as Trokie is not a proper retail website – this is because it would be horrendously illegal to sell THC products online. Instead, they are a wholesaler, offering their goods to individual pharmacies and retailers who can then sell it on themselves. While this does make it easier for those who like to physically buy their CBD, as they sell their lozenges in a variety of different storefronts across the USA, it also means that the price is going to vary wildly from location to location. Each packet comes provided with a dosage guide, so that you can tailor your dosage to whatever problem you are suffering from, making it exceptionally easy to know what you need. The dosing guide not only tells you what to take and when, but it also scales it up throughout the weeks, making sure that you get the absolute best treatment possible from your limited supply. Despite Trokie’s dedication to their flagship lozenge product, they also have a range of alternative methods of taking CBD. For those that don’t want to deal with lozenges or CBD oils, but still want to take their CBD orally, Trokie offers three different types of capsules, each containing different doses of cannabinoids. Just like with their lozenges, you can get; a balance between CBD and THC, the 100mg of indica or sativa THC as you prefer, or the plain CBD. Interestingly, their CBD Capsules contain 750mg of nanocapsules, yet they do not explain what that actually means. It could be that they are offering CBD Nano, the biotechnology wherein the CBD particle size has been reduced to roughly 11 nanometers, making it easier to imbibe. Or, they could simply mean that they have reduced the doses of individual capsules so as to allow you to take only a small amount at a time – sadly, it isn’t clear, made even worse due to the fact that there are no lab reports to back anything up. Finally, Trokie offers one more way to imbibe CBD: Topical treatments. CBD topical treatments are especially popular in the CBD market, as they allow users to apply their CBD to specifically one area that is causing problems. Either that, or they appreciate being able to get a combined CBD treatment and a moisturizer all in one product. However, in contrast to their CBD capsules or their lozenges, Trokie offers a variety of different quantities, for their topical treatments. For starters, they offer a CBD Salve containing 150mg of CBD, which consists of a skin nourishing, pain-relieving gel. You can get either their regular one, made from; olive oil, aloe vera, and rosemary and tea tree oil. Or you can buy a ‘Cooling Pain Relief’ version, which also includes; camphor, wintergreen oil, and menthol to provide cooling relief in the case of joint aches or topical burns. Along the same vein, Trokie also offers a CBD Buttercream. This contains 150mg of CBD, with the simple ingredients of; shea butter, mango and kokum. These products are more focused around skin treatment than actual CBD medication, but they do allow you to leave your skin feeling both shiny smooth and smelling luxurious. These are available in the same variations as their CBD Salves, with an original and a ‘Cooling Pain Relief’ version. Though they also offer a ‘Cooling & Deep Heat Pain Relief’ version that is somehow different than any other, though they neglect entirely to offer why. A familiar problem with Trokie products is that they claim effectiveness and usefulness, yet neglect to actually demonstrate it with proper ingredient lists or laboratory reports. Finally, Trokie also offer a topical CBD spray, which is a spray version of CBD oil that is designed to be applied to specific areas of pain relief. Make sure you don’t put this in your mouth, as this is absolutely not edible. Instead, it is a combination of CBD oil and an after-sun cooling spray. In addition to the previously mentioned varieties, you can also get a ‘Tattoo Care’ CBD Spray that is designed to promote skin healing after a recent tattoo. The one consistent element of Trokie, throughout all of their products, is the lack of scientific data. They have all of this information concerning the scientific principles and research that has gone into their products, yet they do not present any actual data to support it. It is possible that, because Trokie is a relatively new business and has only recently set their site up, they will eventually put their lab reports on their website and settle all of these doubts about the validity of their products, but until they do, people are going to remain skeptical about the truthfulness of their claims. However, despite the complete lack of scientific data supporting their claims, many people review Trokie products highly, especially their variety of topical treatments and their CBD lozenges. Though it is frustrating to see another CBD manufacturer not providing sufficient scientific data, it is great to see new and exciting forms of CBD being made available to the consumer. It would be great to absolutely verify Trokie’s claims but, assuming they aren’t misinforming us, CBD lozenges are an exciting and intriguing new method of imbibing CBD that might just be the future of the CBD market.